Calories burned shown on a treadmill display is not 100 percent accurate. You go to the gym, get on a treadmill and start moving. 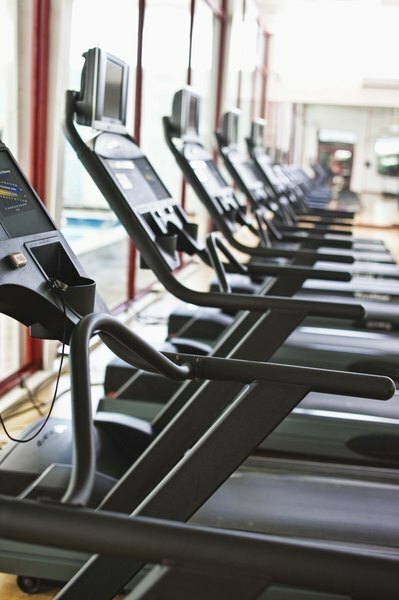 A display panel sits on the treadmill’s information panel that displays the calories burned during your workout. How accurate is the information given by the display? Without a complex testing system, there is no way to tell if the display is 100 percent accurate or off just a little bit. But fear not -- as far as exercise equipment goes; treadmills are more accurate than most other machine types. Most calorie counters work on averages. When treadmill manufacturers program them, they use the calories burned by real-life test subjects using the equipment. These test subjects work out on a treadmill in a controlled environment for a set length of time. The controlled environment measures the amount of oxygen inhaled, carbon dioxide exhaled and body temperature. 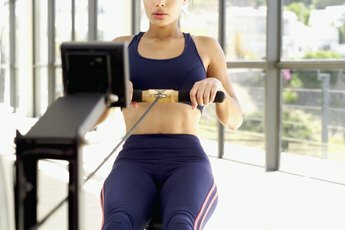 All of these factors determine calories burned during their workout. After many tests consisting of subjects of varying weights, the results become the baseline for the calorie counter. When you step on the treadmill and enter your weight, the displayed calories burned uses the average of a test subject of similar weight. 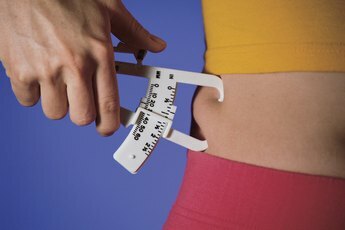 Although you enter your weight accurately and receive an exact match to a test subject, other factors alter the accuracy of your results, such as placing your weight on the treadmill’s side handles or taking a short break while the treadmill continues to run by placing your feet on its rails. For this reason, the calorie counter’s accuracy can vary slightly by showing either fewer or more calories burned than your actual amount. Look at the calorie counter as an educated guess of calories your burn when using a treadmill and not a precise measurement. This does not make the counter useless; instead, compare the results of each workout to make sure you maintain or best your previous workout. Doing so will keep your workouts consistent and allow you to gauge your progress. If estimation doesn't cut the mustard, you can have your metabolic rate measured at a professional institute with a VO2 analyzer. This gives you a precise measurement that you can compare to the calories displayed on a treadmill. Calculating the difference will keep you aware of every calorie you burn each time you and the treadmill meet for a bout of exercise.